Impression Obsession Cling Stamp SORRY FOR YOUR LOSS D21191 at Simon Says STAMP! D21191 This item is on reserve until If you would like to reserve this item now, you may purchase it now with the rest of your order. We will hold your order now and ship your entire order as soon as this item is back into stock. If you would like your order to ship now, please place this item on a separate order. Success, Impression Obsession Cling Stamp SORRY FOR YOUR LOSS D21191 has been shared! This is a red rubber cling stamp. 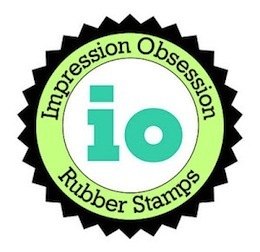 Impression Obsession was formed in March 1998 by Mitra Friant and Charmaine Jackson, two high school teachers who thought it would be fun to run a stamp business part-time after school. Impression Obsession now has 10,000 images in production at any given time and have expanded into offering clear stamps, cling stamps stamps with a gray cushion that temporarily stick to acrylic blocks, and metal dies. Impression Obsession manufactures both rubber and clear photopolymer stamps. Known for the high quality of their products and unique images, Impression Obsession has been one of the leading rubber stamp companies in the industry since the company started all those years ago!